Please read carefully the following information with regards to lessons, booking and payment. Lessons must be booked in advance of and for the full calendar month. 1.1 Lessons are booked in advance – arrange with the appropriate JMA team member the lessons you will be undertaking the following month. 1.2 We ask, where possible, you inform us as to what lesson dates you will/will not be attending for the following month during the last week of the current month. 2.1 Fees are due upfront during the first week of every calendar month. 2.2 Fees for lessons are non-refundable and non-transferable. 2.3 Fees are calculated based on the agreed number of lessons that will be undertaken in the upcoming month. Ensure you inform the appropriate JMA team member of any lessons you do not plan to take in the upcoming month prior to making payment. 2.4 We do not ask you to pay a retainer. 3.1i If you will not be able to make a lesson please inform the appropriate JMA team member as soon as possible, if you notify us prior to the 24 hour period leading up to the scheduled lesson there may be the opportunity to re-arrange the lesson for a suitable time, this is at the teachers discretion and if a suitable time can be arranged within a reasonable period after the cancelled lesson. 3.1ii Where it is not possible to re-arrange the lesson, then the lesson remains non-refundable and non-transferrable. 3.1iii If you subsequently do not/cannot attend a re-arranged lesson, no further re-arrangements will be made, and the lesson fee will remain non-refundable and non-transferrable. 3.2 If you cancel during the 24 hours leading up to the scheduled lesson or do not show up for a lesson there will not be the opportunity to rearrange this lesson, and this lesson remains non-refundable and non-transferable. 3.3 If you cancel or miss a lesson that has not been paid for this lesson will still be chargeable. 3.4 If you do not attend lessons for more than three weeks we cannot always guarantee that you will get the same time slot for future bookings. 3.5 If a teacher cancels a lesson, suitable arrangements will be made to either rearrange the lesson or in this instance the fee for the lesson will be transferred. Jopson Music Academy’s hold examinations three times a year. It is not compulsory to take exams, and is not necessarily the best course for all pupils. If you like to take an exam please talk with you JMA tutor, who will be able to advise you on the best exam board and grade to suit you. 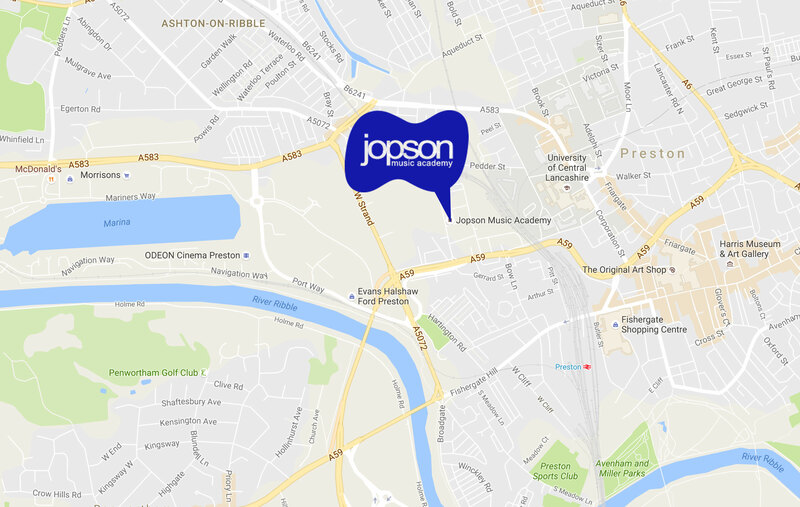 At Jopson Music Academy we recognise the importance of having the chance to perform live; with this in mind we offer a number of opportunities every year for pupils to do just that, whether it be at a concert or showcase. As with examinations, the concerts and showcases are not compulsory, but are a lot of fun and we encourage everyone (whatever your level or age) to get involved! Enjoy your lessons? Then recommend us! If a friend, you have recommended JMA to, books in for a month of lessons we will give you a free half hour lesson as a thank you.